From the blurb on the box of "Platinum: A Life In Music": "Tapes recorded at Graceland about 1961 give us a further idea of what Elvis sounded like away from the recording studios and movie stages. We also get a sense of, what he listened to and sang for his own pleasure. "I Can't Help It" was one of Hank Williams greatest hits and one that Elvis undoubtly heard as a kid." Well, pure speculation, but quite possible, of course. Jorgensen's "A Life In Music" gives the recording date as April 1959. What is certain is that Hank Williams was a pioneer and one of the greats of C&W music and Elvis recorded several of his numbers, both formally and informally. 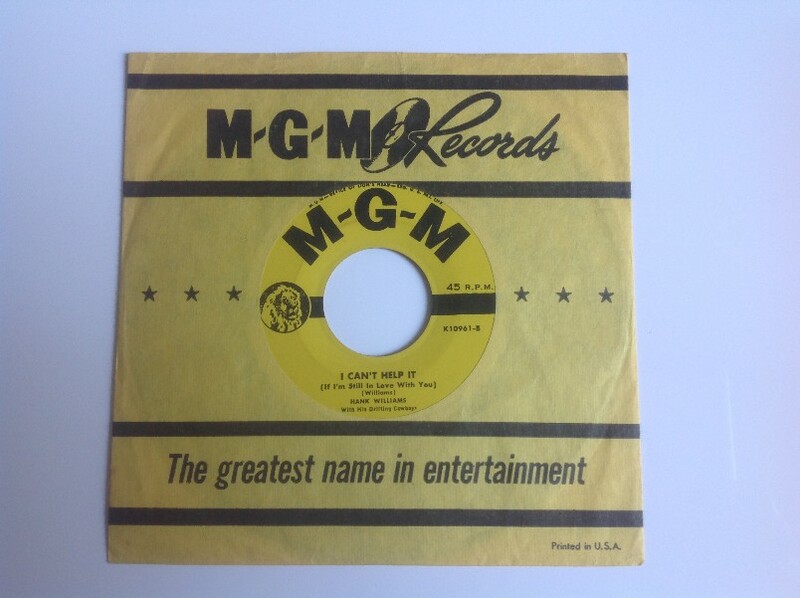 Indeed, this number exists on an earlier, but very unofficial, recording, which was made at Eddie Fadal's home in Waco, Texas: on that recording, Elvis plays piano and joins in on the chorus, as Anita Wood takes the lead.